Is Garlic Good for You? Traditionally called rocambole or stinking rose, garlic is much more than a spicy addition to food. People have been using it as a traditional remedy for ages. Not only does it help treat disease, it also helps maintain your overall health. Is garlic good for you? It certainly is and that is mainly due to several compounds found in it. It also contains a compound called allicin that is responsible for several health benefits. Let's find out more about it. Yes, it is good for your overall health. It is highly nutritious and contains few calories. You can find trace amounts of certain antioxidants and nutrients that heal your body and improve your overall health. It boosts your immune system and makes it easier for your body to deal with infections and other minor ailments. 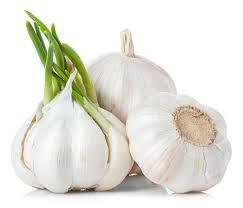 Studies show that you can consume up to four cloves of garlic daily without having to worry about any side effects. Ensure that each clove weighs about a gram. Is garlic good for you? You already know the answer, but you may be wondering exactly why you should include it in your diet. Here are some potential benefits of including garlic in your diet. One of many benefits of garlic is that it helps purify your blood and lowers your risk of developing acne and other skin problems. All you have to do is take a couple of cloves of garlic with some warm water and it will do its job. Be sure to drink it in the morning and increase your water intake as well. Since garlic helps cleanse your body, it may also help lower body weight. To shed some extra pounds, have two garlic cloves in the morning and then drink a glass of lukewarm water with half a lemon squeezed in it. Regular intake of garlic helps lower cholesterol. That is mainly because of the presence of allicin, which works as an antioxidant in the body. It eliminates free radicals from your body, regulates blood pressure, and controls blood sugar levels as well. Keep in mind that garlic loses allicin and its medicinal properties when cooked, which is why you should opt for raw garlic to enjoy maximum benefits. Garlic has anti-parasitic and antibacterial properties. Its regular intake will help clear fungal, bacterial, and parasitic infections. It is especially beneficial for children dealing with tapeworm infections. You can actually use a garlic-based mouthwash to deal with cavity-causing bacteria. Garlic can help improve the quality of your skin by purifying your blood and eliminating toxins from your body. It also prevents oxidative damage and helps keep the elasticity of your skin intact. You can apply it topically to deal with fungal and bacterial infections. You may also find it effective against fungal infections, such as ringworms and athlete's foot. Is garlic good for you? It certainly is, especially if you are dealing with an earache. Thanks to its potent antifungal, antiviral, and antibiotic properties, it can clear infections and reduce any pain you may be experiencing in your ear. Simply combine the juice of garlic cloves and olive oil and pour it into your ear for relief. If you have been struggling with diarrhea, dysentery, or colitis, you can certainly make use of garlic to find some relief. It works amazingly well to dispel worms. What makes it special is the fact that it does not hurt healthy bacteria in the gut, which is why it improves digestion and lowers your risk of developing intestinal problems. Topical application of garlic can help heal your wounds quickly. You can make a paste by combining garlic cloves with three drops of water. Do not use garlic in its raw form because it is strong enough to irritate your skin. Some studies have found that boiled garlic cloves may help treat asthma symptoms. Take 3 cloves of garlic and put them in a glass of milk. Boil the milk and then drink it slowly to help reduce the intensity of your asthma symptoms. You can also combine garlic cloves with malt vinegar to deal with your asthma symptoms. Thanks to many aphrodisiac properties, garlic can help improve your sexual health. It not only helps improve libido, but it also helps improve your performance in bed. If you overindulge in sexual activities, you should include garlic in your diet to deal with nervous fatigue. You can also take garlic in supplemental form to improve sexual performance. While it may not look like a medical emergency, a splinter can cause severe pain. Many people have used garlic to remove a splinter with ease. All you have to do is take a garlic clove, put it over the splinter, and then wrap a bandage or tape around it. Remove it the next morning to get rid of the splinter. If you engage in sporting activities, you may have already experienced how annoying it is deal with athlete's foot. This fungal infection can spread quickly, but you can use garlic to help treat it effectively. Simply crush garlic cloves and add them to lukewarm water. Now, soak your feet in the water to help get rid of the fungus. You may also considering rubbing some garlic directly on your affected foot for relief. Is Rice Noodle Gluten Free? Is It Safe to Consume Splenda?